While millions of parents have asked their children if they would do something because everyone else did it, this same concept does not apply to a digital marketing strategy. In fact, if everyone else is doing it and it works, you have to consider also following suit. Nowhere is this truer than in the issue of mobile optimization. In a nutshell, mobile optimization is the process that ensures your website can be effectively seen and used whether it is opened on a desktop or laptop computer, a mobile phone or a tablet. It will automatically adjust to be the ideal size, and elements may alter in appearance to work best on the smaller screen as well as the touch screen environment. As you can guess, it is a complex issue, and not something you want to leave up to chance. Why? If your digital marketing strategy includes both traditional computer and mobile audiences, you cannot risk either group feeling overlooked or under served by the site or page they reach. Everyone uses mobile…at least ALMOST everyone – The statistics change rapidly, but the numbers keep heading upward. 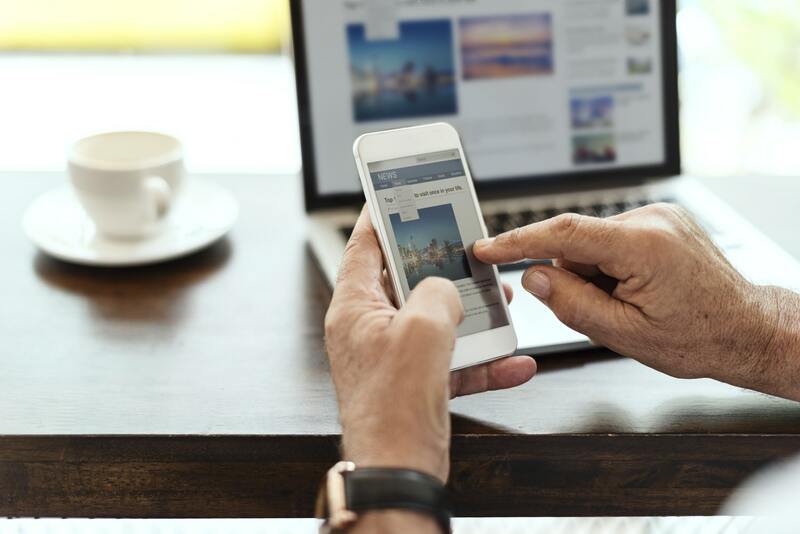 Everyone is using their cell phone as their preferred route of surfing the web, and so a site without mobile optimization is one that is lining itself up for extinction. It improves SEO – A site that is mobile-ready is less likely to experience a “bounce” — visitors navigating away from it due to poor experience. The longer they stay, the higher your SEO ranking! Mobile use differs from desktop or laptop use – The way people experience and use sites through mobile devices is far different than a traditional computer. Your digital marketing strategy has to address this to meet your audience’s needs. Mobility means fuller engagement – Sending a coupon code when a shopper is close to the brick and mortar store, asking for a social media “like” after someone has made a purchase or visit…there are many ways mobile optimization facilitates engagement. Mobile has proven to get heavier traffic – By 2017, roughly half of all web traffic was mobile and that figure has risen since. Whether via ads or referrals on social media, you can count on mobile to bring you traffic and you should be ready. People buy more on mobile – You are more likely to see a conversion via a mobile platform than traditional computer. So, there are six very good reasons to give a lot of attention to your site’s adaptive or responsive behaviors. If you need support with this, don’t rely on automated options. Turn to a team of experts in all things to do with digital marketing, like those at Organically.